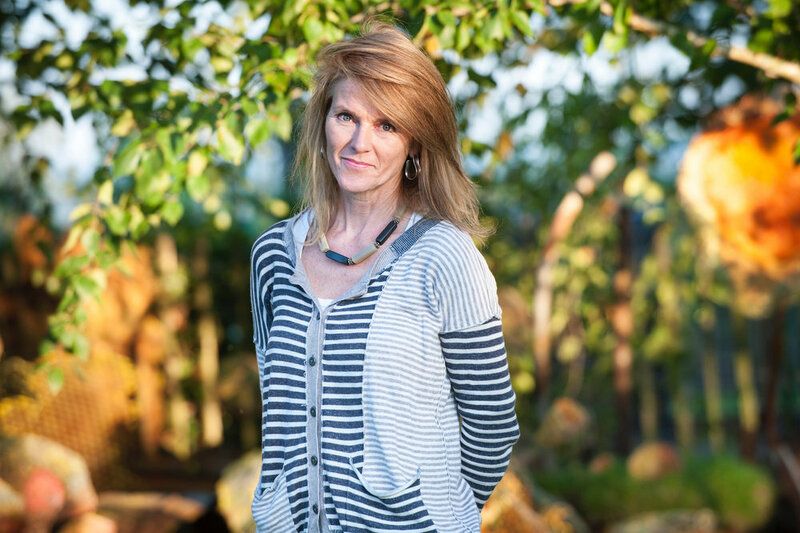 Born and brought up in Kenya, Fiona Campbell is now based in Somerset, UK. Alongside her own art practice, she works within the community on collaborative art projects, residencies, teaching and running workshops. Fiona was awarded Arts Council funding for her ambitious project ‘step in stone’ in 2015, involving site-specific artscapes in Mendip quarries with 14 international artists. She curated and featured in the multidisciplinary event, which linked culture, environment and community. Following an exhibition with Maureen Michaelson Gallery at GROW London, Fiona was commissioned to create a 4m hand woven canopy as a focal piece for Sarah Eberle’s Viking Cruises Mekong Garden, Chelsea Flower Show 2016, which won gold and best artisan garden. Last year she was selected for the Ingruttati Palermo workshop and exhibition, a collateral 5x5x5 event, part of Manifesta12 and was recently selected for a Gilbert Bayes Award from the Royal Society of Sculptors ‘18/’19. Fiona gained a Masters in Fine Art at Bath Spa University the same year. Other awards include the Environmental Award for Devon Recycled Sculpture Trail ’14, first prize Atkinson Gallery Summer Show ’11, and David Shepherd Wildlife Fund 3d Wildlife Artist of the Year ’09. She was highly commended for her work as Green Capital Artist in Residence ’12, culminating in exhibitions at the Arnolfini, Harbour and Create Centre, Bristol. Fiona is a Rep for Somerset Art Works.